Peter Donaldson, Ford Foundation Professor of Humanities at MIT, presented a paper at the humanities+digital conference on May 21, 2010, at MIT. In his presentation “Visualizing Shakespeare in Performance: The Digital Video Archive in the Age of YouTube,” Donaldson explores new directions in education and research on Shakespeare made possible by digital video collections, both scholarly and popular, and new tools for active video use. 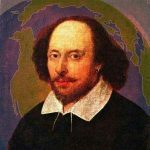 Using materials drawn from YouTube, theatrical videos from the Shakespeare Performance in Asia archive, as well as video annotation tools developed at MIT and at Columbia University, the talk will offer instances of a performance and video-centered approach to Shakespeare in performance.